This may be, without a doubt, one of the strangest interviews we’ve ever posted, but you can’t help enjoying the uniqueness of it either. 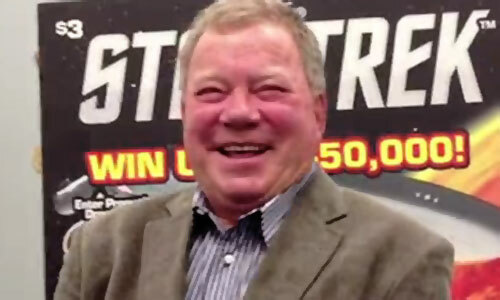 William Shatner was recently in Dallas to promote the new scratch-off STAR TREK ticket for The Texas Lottery. On Saturday, March 30 of 2013, Bill came to the Dallas Convention Center for the event, which was also an attempt to make history in The Guinness Book of World Records for the most costumed Trek fans in one place at one time. Sadly, the numbers were about half of what was needed (the record is 1063, Dallas had 561), but the fans seemed to be having fun regardless. Shatner talked about the phrase “Scratch off”, even implying it could be used to tell off someone you don’t care for, and prompted everyone in the crowd to proclaim along with him, yelling “SCRATCH OFF!” He then attempted to scratch off the first official ticket (which was an oversized display version), with somewhat comedic results. 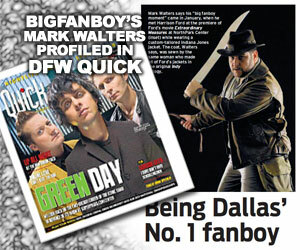 After signing a handful of autographs and taking photos with VIP winners, he participated in select press interviews, and Bigfanboy.com (myself and Devin Pike) were lucky enough to get a few questions in with the man himself. What resulted is rather… interesting. The first time I met Bill back in 2009 (I think) we had talked about how one of his great dogs was from Texas, and that he frequently comes here for various reasons. That was my intro to kick things off, and the story that followed was somewhat sad, a little shocking, and perhaps unintentionally funny. See for yourself in the clip. 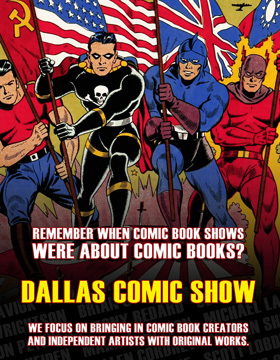 We also got him to mention that he’ll be back in Dallas for the Dallas Comic Con this May 17-19 (Bill is appearing on Saturday, May 18 only), and even comment a bit on the STAR TREK video game commercial in which he once again tangles with The Gorn (that video is also below). Check both clips out and tell us your animal husbandry thoughts in the comments.